I want to share my personal experience with tattoos with others so they can properly care for their new tattoo. Getting a new tattoo is generally a very exciting experience, and in the aftermath, the importance of proper aftercare can often be forgotten. Regardless of whether it's your first tattoo, or your tenth, any thoughts about what's going to come after you have the tattoo were probably not at the forefront of your mind in the time leading up to the big day. 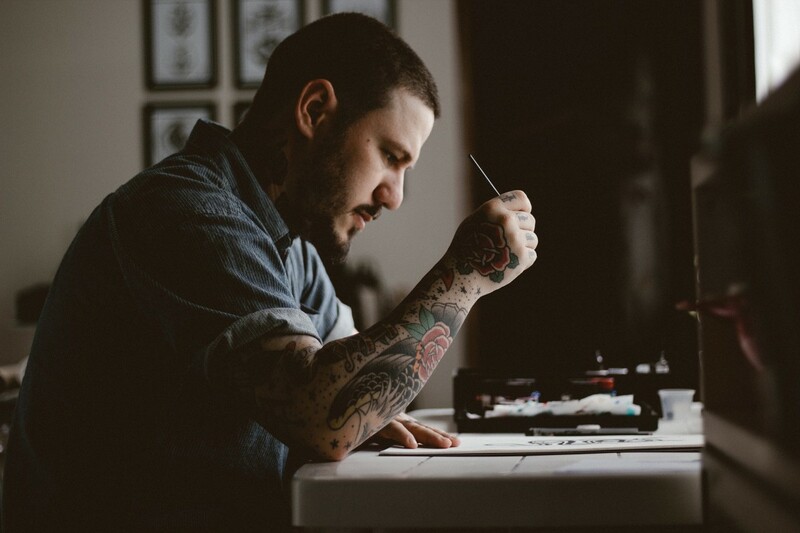 However they do have to be addressed at some point, and while your tattoo artist may give you some pointers, they can't cover everything you need to know, and they can't prepare you for all eventualities. And just like every tattoo is a little bit different, so every tattoo artist has a slightly different opinion on the best way to look after your healing tattoo. However, if you want your tattoo to turn out as perfect as possible, then arming yourself with knowledge about the healing process is the way to achieve this. Your tattoo is going to require a lot of care. You can't just slap some cream on it directly after it's finished and then forget all about it. Aftercare is going to be about putting plenty of effort into keeping your tattoo clean and well looked after and being aware of exactly how the process is going. You're going to have to buy a couple of things. We'll talk about what you're going to need later on in this article, but don't expect that once you've paid for the tattoo you've finished all the sending, you're going to need to do. If you want to take proper care of your tattoo, you may need a few different things, and while this may not cost a lot of money, you should be prepared to have to pay at least $10-$20 on top of the original price of your tattoo. There are some basic things you're going to need in order to properly take care of your tattoo. Everyone you talk to about this subject will have a slightly different list of their preferred aftercare products. However, this list has been made from my own personal experiences with tattoos, and the advice of multiple tattoo artists who've done work for me. Moisturizing cream/ointment: Throughout the healing process, you're going to want to keep your tattoo moisturized with a thin layer of cream so that it doesn't dry out too much. There is no one single product which is preferred by all tattoo artists but rather hundreds of different ones, each of which has its pros and cons. 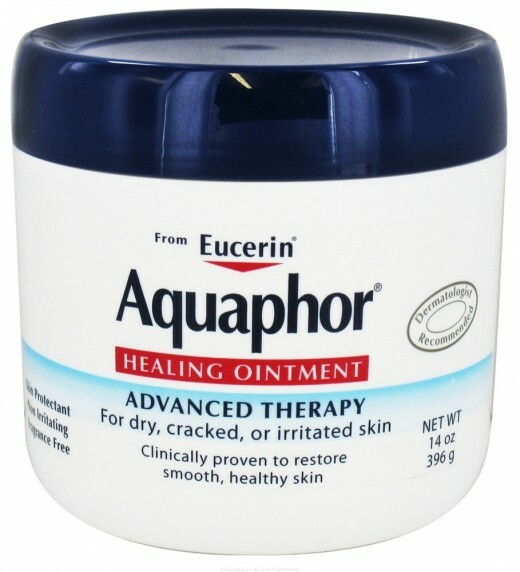 I'd personally suggest Aquaphor, which is a healing ointment that not only keeps your skin moist, but will also help with the healing process. Some tattoo artists will suggest you use an ointment for the first two stages of healing, but switch to a lotion after that. However, from my own experience, continuing to use Aquaphor throughout the process works just as well, if not better, and can shorten the healing time significantly. This ointment, depending on the size of the tub you buy, will probably cost $15 - $20, but will be well worth the cost, and will be more than enough to get you through the healing process of several tattoos. Soap: So this one may seem kind of obvious, and you may think you can just skip over it and use whatever soap you have in the house. I'd suggest, as would most tattoo artists, that you don't do that. Scented, and colored soaps can be very harsh on your skin, and can irritate a tattoo, making the healing process longer and more complicated. The best kind of soap to use on a new tattoo is unscented, uncolored pure glycerin soap. This is a better alternative to soaps normally used around the house, and is not expensive either. 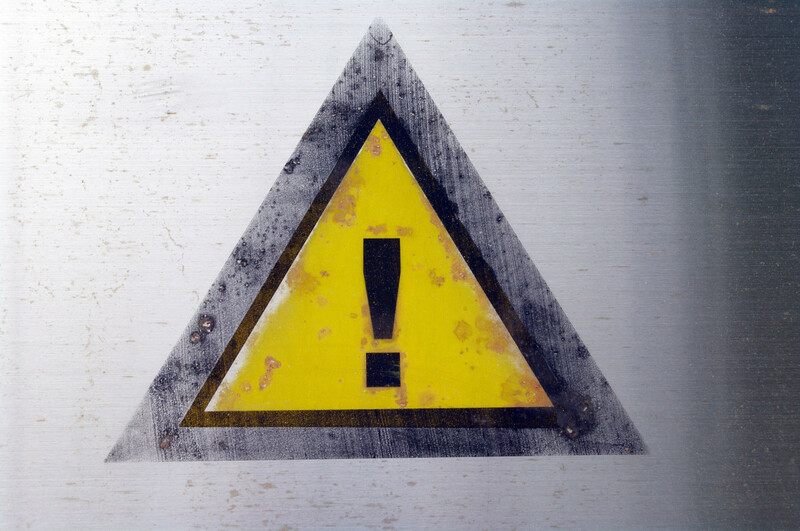 Beware, some things need to be kept in mind during the healing process in order to get your tattoo healing perfectly. Keep your tattoo out of the sun. To some extent, this will be true for the entire time you have a tattoo, especially if you don't want it to fade. However, this is extra important during the healing process. Make sure your tattoo isn't in direct sunlight for long periods of time, and if at all possible, cover it up when you go out into the sun just to be careful. Don't soak your tattoo in water. This is going to be most important during the first two or three stages of healing. Stick to quick showers while your tattoo is healing instead of long soaks in the tub, and try to avoid swimming. Once you reach the fourth stage of healing, you can soak your tattoo for longer periods of time, but even then it's better to be careful with it until it's completely healed. Don't wear clothing that rubs on your tattoo. This may be more difficult in some cases than in others, depending on where you got your tattoo. However, it can be really important for the healing process. For example, getting a tattoo on the top of your foot probably means you're going to need to be in open shoes for a couple of weeks, at least until your tattoo is mostly healed. Things like bra straps can also be a problem and should be avoided if they're going to be scratching on your tattoo. Furthermore, for the first couple days after you do get your tattoo, loose, soft clothing over your tattoo would probably be the best to keep your tattoo from getting irritated by the constant rubbing of clothing. This stage is probably going to last at least a day or two after you get your tattoo. Just know what to expect, and how to deal with it, and it should pass without any problems. This stage is one of the simplest, but also one of the most important ones. 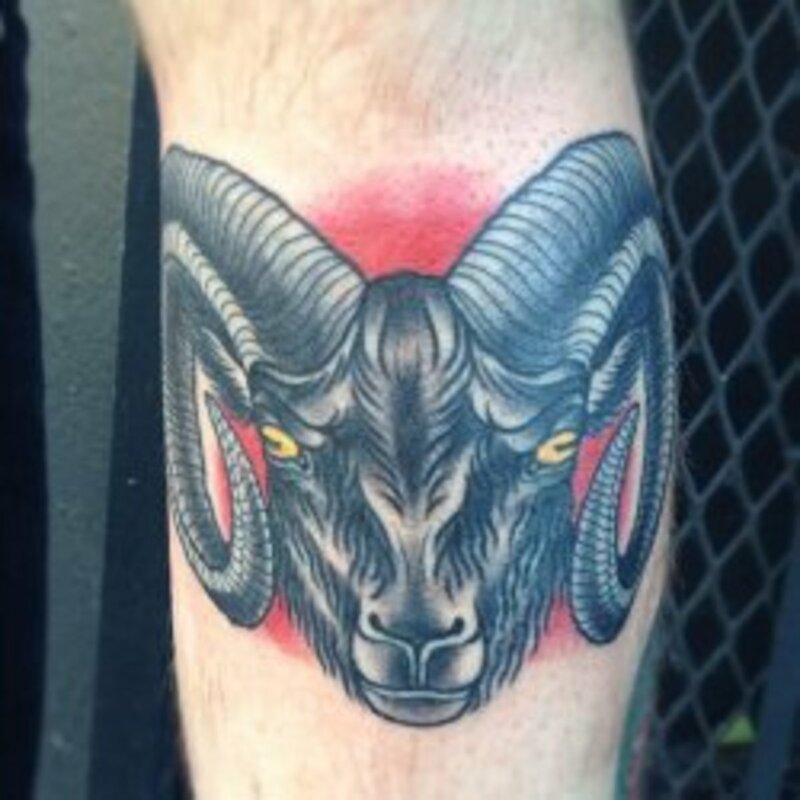 At this point, your tattoo is still an open wound, and should be treated as such. 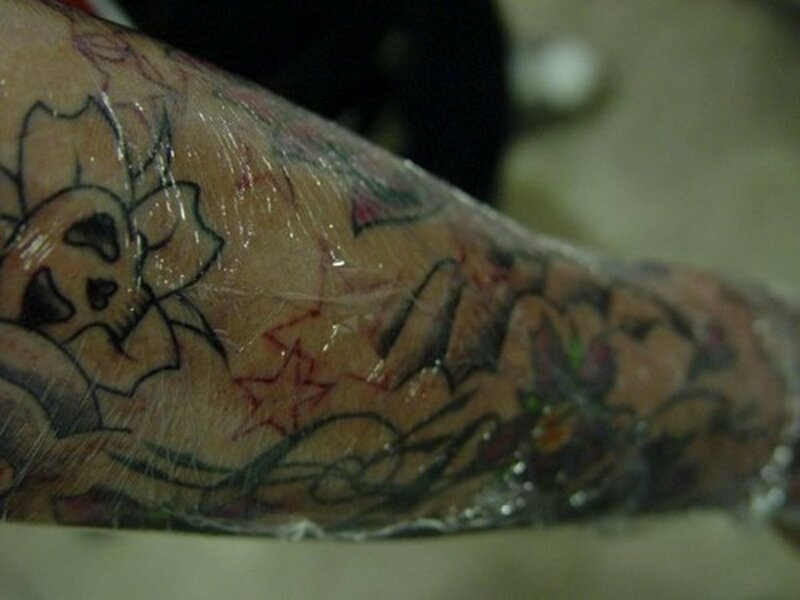 After finishing your tattoo, your artist will probably have spread some vaseline, or something similar over the tattoo, and then wrapped it up in plastic, or gauze. This is just to keep it covered, and away from any dirt or other potentially damaging things. You can expect your tattoo to be a bit red at this point, and maybe even have a bit of blood on it, but at the beginning, this is completely normal. Depending on exactly where you got your tattoo, and how big it is, you can also expect some pain during this stage. The pain shouldn't be bad, probably just a dull ache especially when you move, similar to sunburn in a lot of ways, but it will be worse in more sensitive areas which move around a lot more. This is completely normal, but remember if you experience any excessive pain or bleeding you should contact your tattoo artist or doctor just to check and make sure that everything is okay. 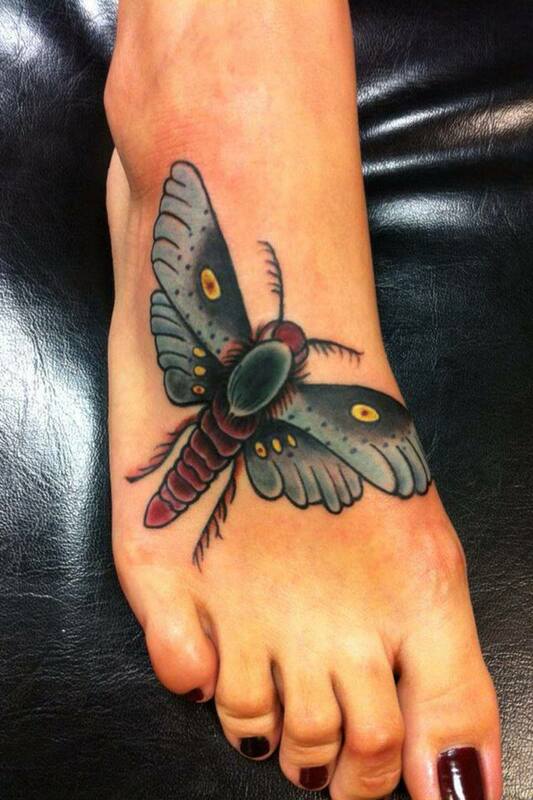 Your tattoo artist will generally give you an idea of how long you should keep your tattoo covered. This will generally be somewhere between 2 - 12 hours. 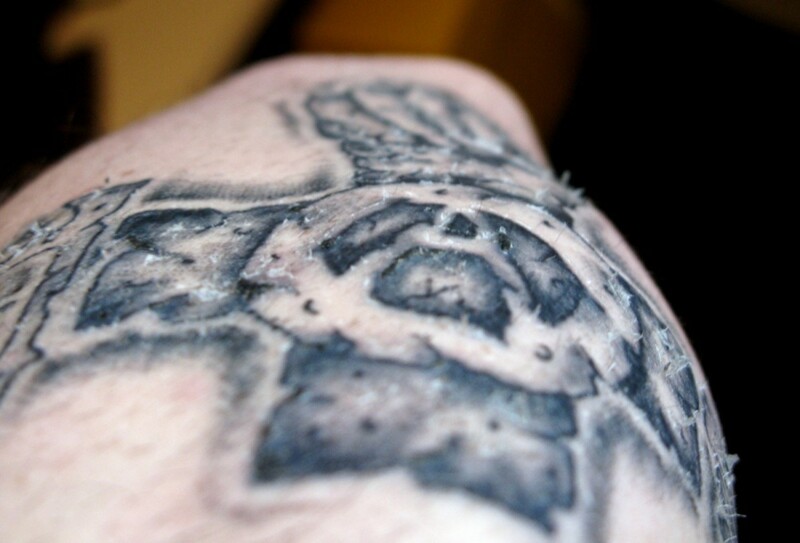 Don't leave it on longer than 12 hours, as your tattoo needs air in order to start healing. When you do uncover it, gently wash your tattoo with warm water and whatever soap you bought, being careful to only use your hands (wash them first) and not to soak your tattoo in water for an extended period of time. Be gentle with the tattoo, it's still fresh and probably a bit sore, and the idea here is to just get whatever cream your tattoo artist used off, as well as any bits of blood and ink. Let your tattoo air dry, don't rub it with a towel, and don't put any creams on it before it's dry. Depending on your tattoo artist you may have different instructions as to what you should be putting on your tattoo at this point. You will have a lot of different options, including vaseline, multiple different healing creams, or lotions. As stated above, I'd personally suggest Aquaphor, but this is up to you, and there are a lot of options to chose from. At this point, you shouldn't be putting any kind of scented, colored lotions on your tattoo. Regardless of what you chose to use at this point in healing, one important thing to remember is to not put too much of it on your tattoo. 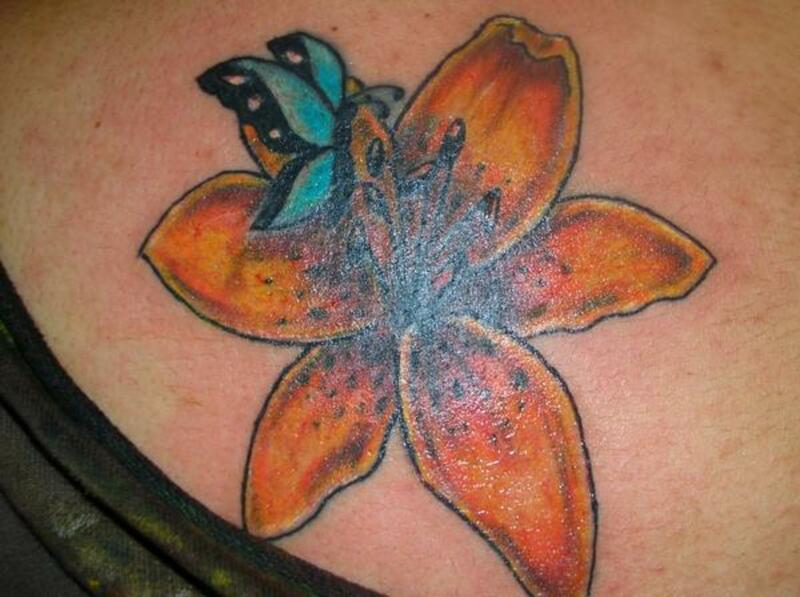 You just want to put enough so that there is a very thin layer covering your whole tattoo. It needs to be completely covered, but you don't want it on too thick, or your tattoo isn't going to start healing. This stage will start directly after the first one, and can last anywhere from a day or two, to a week. Just like the title suggests, during this stage, your tattoo is going to itch like crazy. In fact, it's personally my least favorite part of the entire process because the itching is very difficult to get rid of, and it's incredibly important that you don't scratch. At this point, your tattoo is going to dry out, and maybe form a couple of small scabs. Your skin is going to feel dry, and your tattoo may feel a little bit strange to the touch, but don't worry, it's supposed to be like that. Try not to touch your tattoo, and when you wash it be very careful, as you don't want to rub off any of the dry skin or scabs before they're ready to come off. Keeping your tattoo moisturized is more important now than ever, because your skin is already going to be feeling dry, you don't want it to be even worse. Make sure you're cleaning and moisturizing your tattoo at least twice or three times a day. And whatever happens, no matter how itchy it gets, do not scratch it. Scratching it and pulling off skin or scabs which aren't ready to come off could pull up ink and cause permanent blemishes in your tattoo that you'll have to get touched up. Stage Three: Why Is my Tattoo Peeling Off? This stage will come near the end of the process, but can take a while to pass, up to a week or two, especially for larger, more intricate tattoos. This step is probably the most aesthetically unappealing stage of this entire process. In all honesty, it just looks really gross. At this point, your tattoo is going to start pealing. In theory, this is just like a sunburn, but it can be much more unsettling as a lot of the skin that will peel off will carry some ink in it, and will give the illusion that your tattoo is peeling off. This is completely normal, and is nothing to worry about as this peeling is an important part of the healing process. At this stage of healing, it's more important than ever to make sure nothing is rubbing on your tattoo. The skin needs to peel off at its own rate, when it's ready, and having something rubbing on it can cause damage. During this stage, you can cut down on the number of times that you wash and moisturize your tattoo to about once a day. Rubbing any kind of cream onto a peeling tattoo can cause the skin to get pulled off, and it's best to try to avoid this as much as possible, so be very gentle. And probably the most important thing to remember, especially if this is your first tattoo, is not to panic! Peeling is a completely normal part of healing, and even if your tattoo looks kind of gross, after it's finished peeling, as long as you've taken care of it, all the ink will still be there, and it will be as good as new. Admittedly, at this point in the healing process, you may just be hoping for it to be over quickly. And thankfully this stage really is much easier to deal with than any of the others. At this point, most of the scabs and peeling skin should have gone, and your tattoo should be looking good. The ink may be slightly more faded than you'd expected, but don't worry, this is often just due to a layer of dead skin which is still covering the tattoo, and this will mostly pass given some time. Your skin might still be a bit dry, but for the most part, it should be well on it's way to being completely healed. At this point what you need to do is relatively simple. Keeping your tattoo moisturized definitely can't hurt, and keeping it from rubbing on anything would also be a good idea. The time that this will last varies; however it can last for up to several weeks. 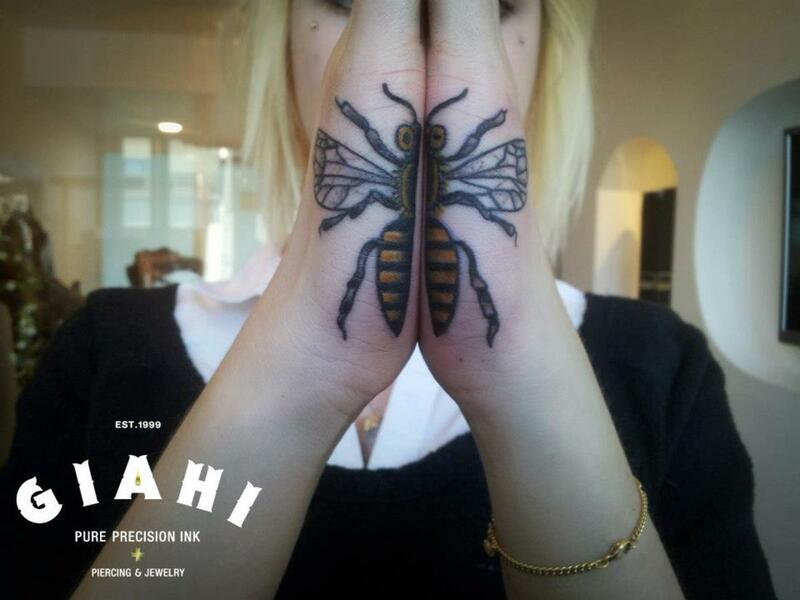 Just be careful with your tattoo, and it will soon be perfect and completely healed! Take care of it! Chances are you paid a lot for that tattoo, and it's going to be on your body for a long time, so it's worth the extra effort to make sure it turns out perfect. Have some patience and just hold in there while the healing is happening. It will get there eventually, and even if it takes a while, it will have to stop at some point. Don't panic! If you're not sure about something, or you think something might be wrong, call your tattoo artist and ask what they think. 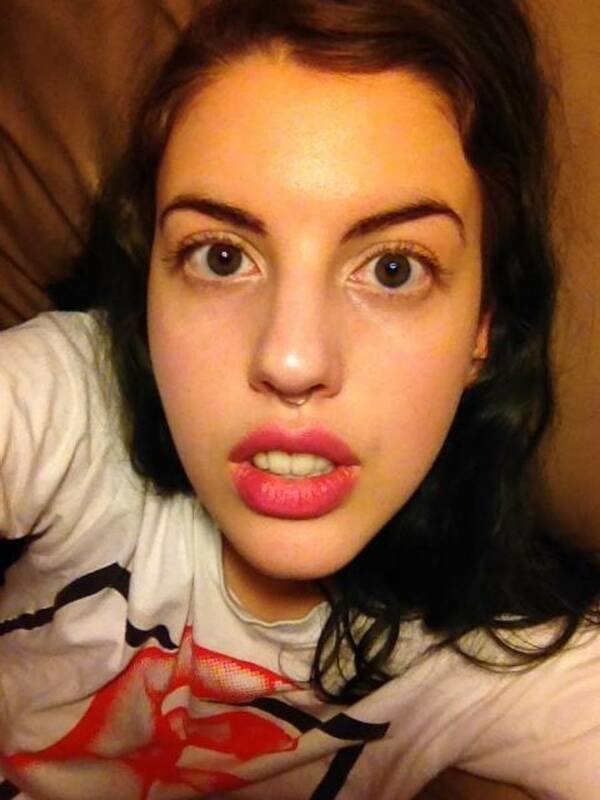 But whatever happens, just remember there is no need to panic. This will help me take care of my first tattoo when i get it so this will help me a lot. Thx for the article. Great informative article I will keep these tips in mind when i get my first tattoo voted up.